Small reception counter with LED underlighting and a wheelchair accessible counter. 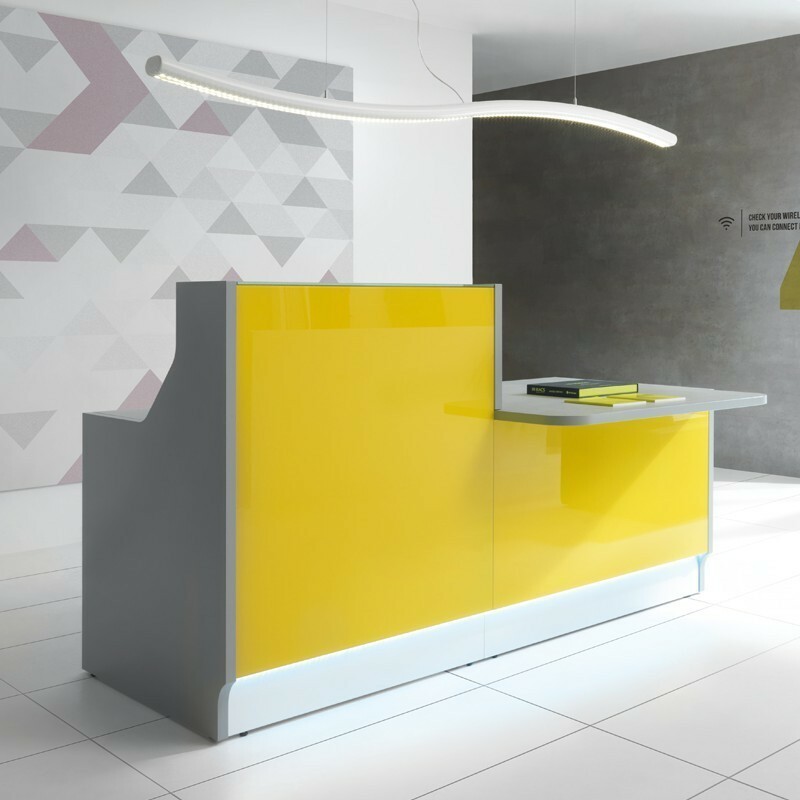 The Linatia range of reception counters feature strong glass fronts in a selection of colours and choice of glass or semi matte finishes for the frame and worktops. Small reception with led underlighting. Storage sold seperately.